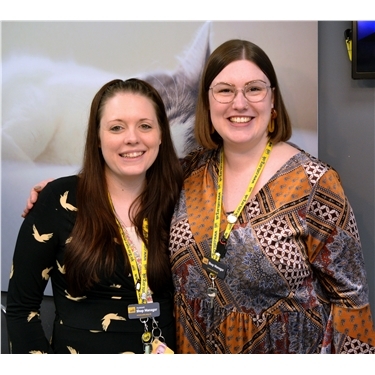 After volunteering since November at the Cats Protection shop on Erdington High Street, Clair Farr of Spring Lane has joined the management team – and doesn’t live ‘far’ away! And a big ‘plus’ for Clair is that she lives so nearby she has ‘just a ten minute walk to work’. Pictured is the new assistant manager of the Erdington CP shop, Clair Farr, who started volunteering last November, alongside manager Anita Byers. *The shop welcomes donations, especially ladies and children’s clothing, and is open every day, including Sundays. Anyone wishing to volunteer can call in at the shop, chat with Anita or Clair, and complete an application form.